'Dear God, Ruth, what a feckin' shambles," began a message from a Tory friend last week. "I had high hopes for Mrs May but she got it all badly wrong: a shoot-yourself-in-the-foot manifesto; a presidential campaign by a leader lacking presidential charisma; an abject failure to expose the flawed characters and disgraceful histories of the Labour triumvirate. I despair, I really do." He summed up neatly the sentiments of millions of people who fear a Labour Party led by anti-West Marxists and therefore watched in horror as Mrs May's catastrophic campaign got its just deserts last Thursday night. 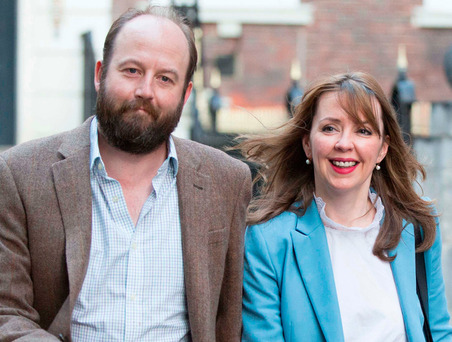 Her control freakery, which caused her to take counsel from only three people - her husband, Philip, and Nick Timothy and Fiona Hill, her two over-promoted and over-mighty advisers - was what did for her. Closer to home, it's been grim for the SDLP and the Ulster Unionists. I was saddened that Mark Durkan lost (narrowly) to Elisha McCallion. "We were faced with a huge effort and a huge spend by Sinn Fein," he told the BBC. So a man who for 12 years in the House of Commons has been greatly respected for his intelligence, decency and wit, and has faithfully and eloquently represented all his constituents, has been replaced by yet another obedient servant of the Sinn Fein cult who won't be allowed to take her seat. Suddenly catapulted into the limelight as the only party capable of keeping the Conservatives in power, the DUP are wise not to rush their fences. "The prime minister has spoken with me this morning," said Arlene Foster calmly on Friday, "and we will enter discussions with the Conservatives to explore how it may be possible to bring stability to our nation at this time of great challenge." At first glance, being in this position might seem like a politician's dream, but Foster and her deputy Nigel Dodds will know that there are potential pitfalls as well as opportunities. Although Sinn Fein would have taken their seats in Westminster at top speed had their friend Jeremy Corbyn needed their support to form a government, they will be relentless in attacking the DUP as Tory stooges if they prop up Theresa May. They will also be able to make a reasonable case that the British government can hardly be regarded as honest brokers in negotiations to reinstate the Executive if it is dependent for its survival on one of the parties. Which doesn't, of course, mean that the DUP shouldn't support a government with which they agree, but they'll need to be careful to keep a distance from May, who is severely damaged goods and may not last long. It wasn't really helpful that she referred to "our friends and allies in the Democratic Unionist party". Better to stay aloof like Micheal Martin and keep cooperation to a confidence-and-supply arrangement. Encouragingly, they seem to accept that rather than seeking baubles with which to bribe the electorate in the future, they need to use their unexpected clout to get much more focus on Ireland's interests in the Brexit negotiations. The DUP are not popular in Britain, for most people still associate them with the religious fundamentalism they are fast sloughing off, and self-styled progressives will be making much of their opposition to abortion and gay marriage. While they're not hated - as Sinn Fein are by those who loathe the IRA and its apologists - they are seen as old-fashioned and provincial and just as prone as republicans to hold out the begging bowl. They now have a chance to show themselves as better than their image, which will make it easier for them to influence policy. It will also - especially in the light of the humbling of Nicola Sturgeon and the SNP - help to stop people taking seriously Gerry Adams's banging-on about a border poll. As Foster put it: "Those who want to tear apart the Union that we cherish and benefit from so hugely have been sent a clear and resounding message." The Union, she said, "is our guiding star. We may represent Northern Ireland constituencies in the House of Commons but we are as seized of the interests of the Kingdom as a whole as we are for our small province". Leo Varadkar, who got along well with Foster when they coincided as tourism ministers over three years, will know of her passion for the United Kingdom. But he will also realise that she means it when she said that she wants a soft Brexit that "respects the specific circumstances of Northern Ireland, and, of course, our shared history and geography with the Republic of Ireland". And that the DUP's new importance in Westminster can be used to the advantage of the whole island of Ireland. This is a golden opportunity to forge a close alliance between politicians north and south so that they present a united front to London and Brussels. These are uncertain times, and politicians should be prepared for some more feckin' shambles in the future on both sides of the Irish Sea.